Overloading your trampoline, even occasionally, can stretch your springs. 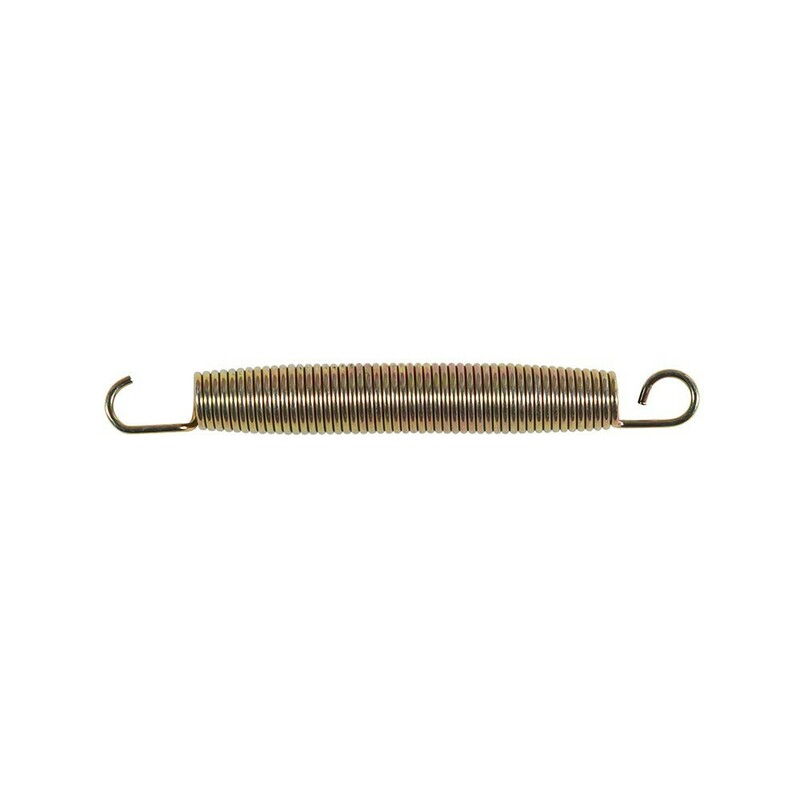 In order to replace only the damaged springs, France Trampoline can provide this 230 mm long gold spring. - This traction spring equips all of our trampolines from the Booster range (except Booster 300), Waouuh range, Ovalie 490 and Apollo Sport 500 trampolines. It can also be installed on any trampoline using 230 mm springs, hooks included. The 230 mm includes the 2 rounded hooks and this measurement must be taken on a spring at rest. - This spring has been treated against corrosion. - The steel wire is 3.3 mm in diameter and the coil 28 mm. This large diameter will give the rebound needed for dynamic jumpers. - This trampoline spring has 2 hooks: one well rounded to hold firmly on the jumpung mat and the other more open to fix nicely onto the galvanized steel framework. - To remove an oldspring, we advise you to use a hooked clamp, provided when you purchase a France Trampoline trampoline. This hook will also be used to replace the springs. NB : This spring is also sold in sets of 20 and 50 springs.